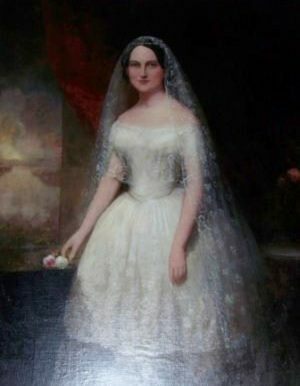 Willie Elizabeth Harding McGavock was a Tennessee resident whose life centered in her family, her home and the Woman’s Foreign Missionary Society of the Methodist Episcopal Church, South, of which she was a founder. In 1875, when she heard Dr. and Mrs. J. W. Lambuth speak of their work in China, she secretly gave her wedding jewels to assist in the building of Copton School in Shanghai, the place to which Lochie Rankin, the first single woman missionary of the Southern church, was sent. Willie McGavock worked to form a Woman’s Missionary Society in Nashville’s McKendree Church, and later joined forces with Mrs. Juliana Hayes of Baltimore to organize a Woman’s Missionary Society for the denomination. She sent a petition to General Conference of 1874 requesting such a group. It was rejected but in 1878, when she sent the second petition, Lochie Rankin was already recruited to go to China and there was money on hand to send her. General Conference approved the petition and appointed Mrs. Hayes national president and Mrs. McGavock national corresponding secretary of the Society.